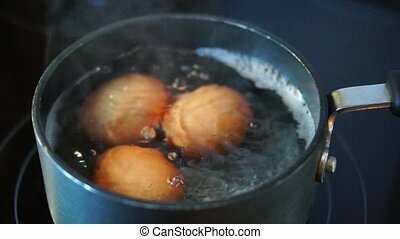 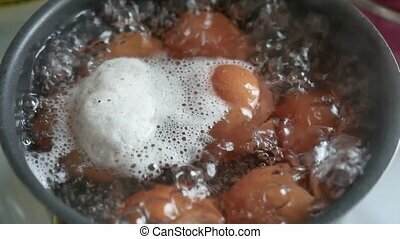 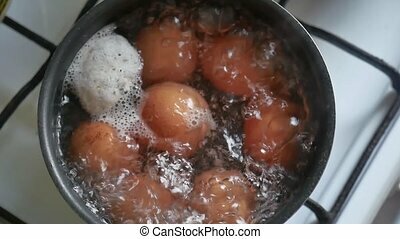 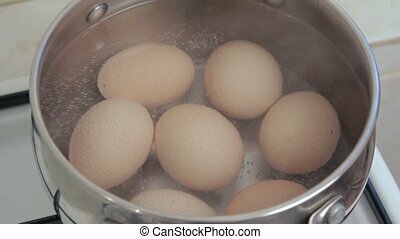 Eggs cooking in boiling water. 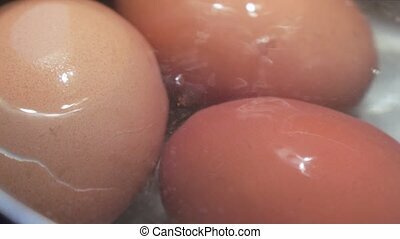 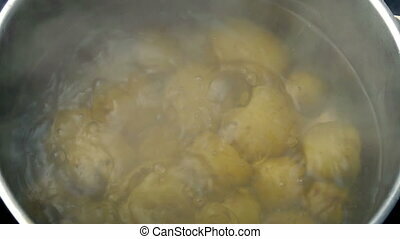 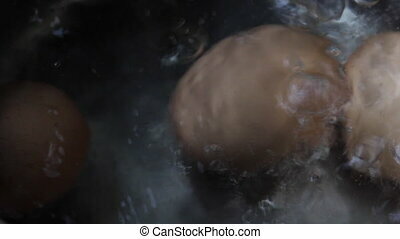 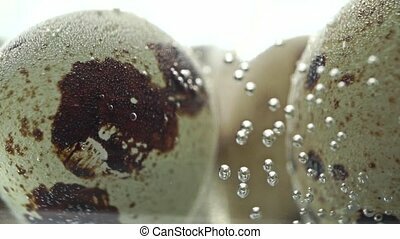 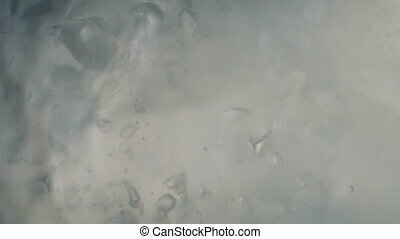 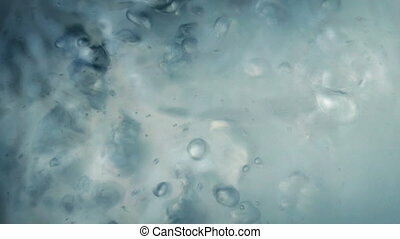 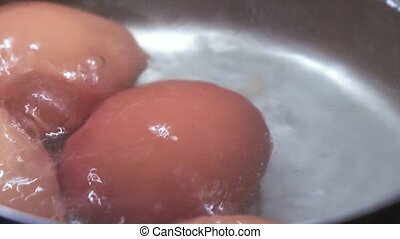 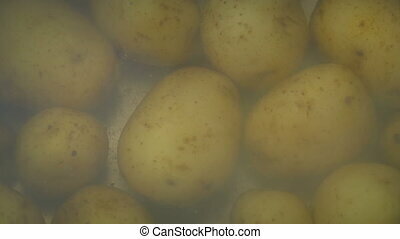 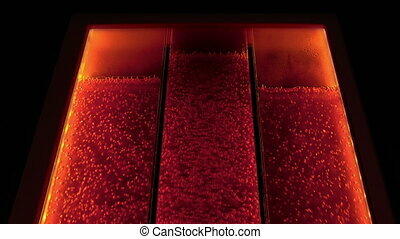 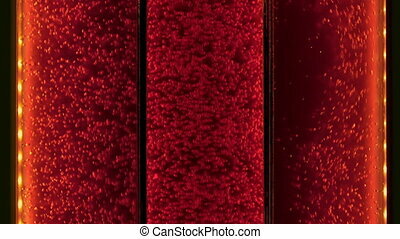 Closeup of eggs cooking as seen from inside a pot of boiling water. 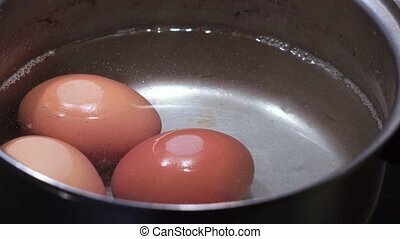 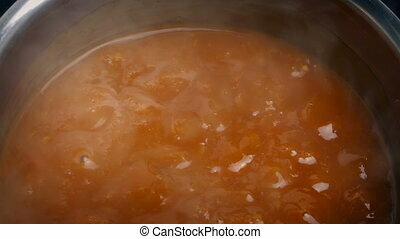 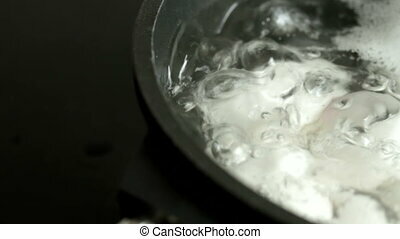 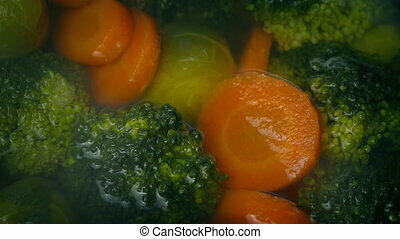 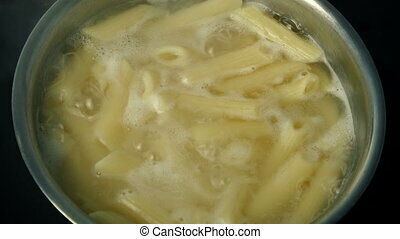 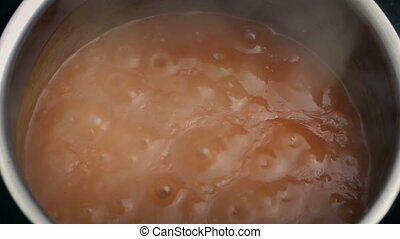 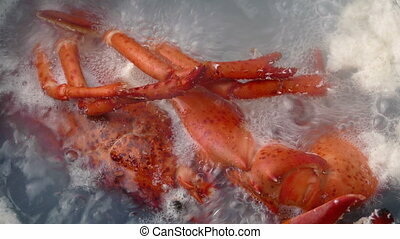 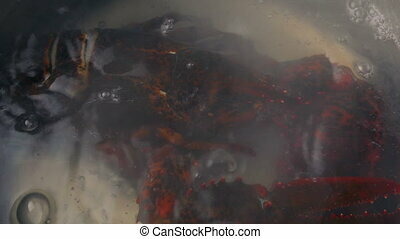 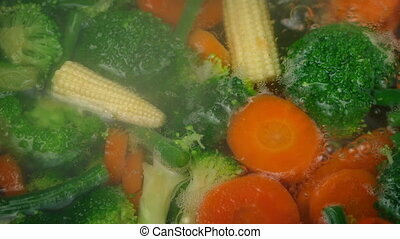 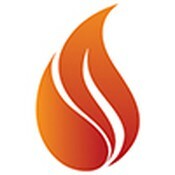 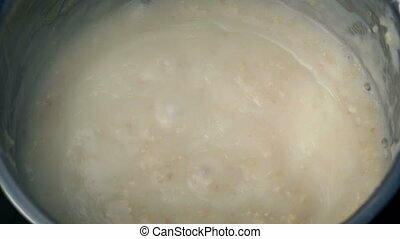 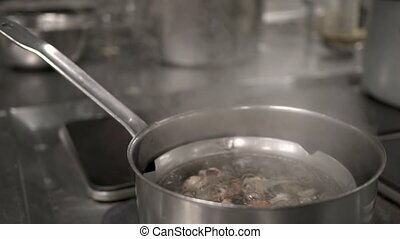 Glide over boiling water - the black pot contains several white eggs, steam rises from the pot. 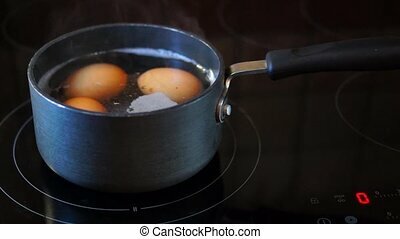 Woman at cooking. 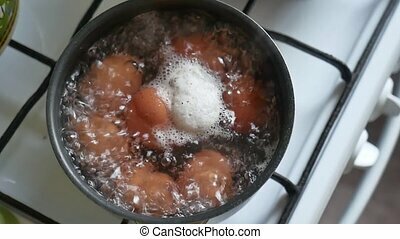 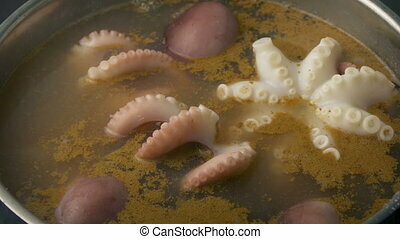 He puts quail eggs in boiling water. 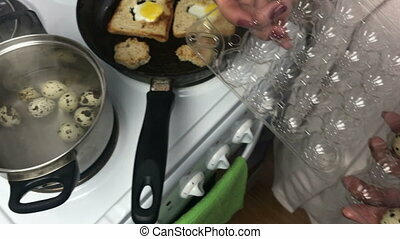 Nearby in a pan, quail eggs are fried in toast bread.